JJ Lunney had the first chance minutes into the game but his volley dropped just over Conor Kearns’ crossbar. At the other end, Blues keeper Matthew Connor was called into action making a good save from Dan Tobin; Timmy Molloy couldn’t score the rebound. UCD took the lead on 21 minutes. Gary O’Neill’s burst through the Blues defence saw him upended as Damien Delaney challenged. He stepped up to give UCD the lead. The lead was doubled just three minutes later. O’Neill’s free kick came back off the woodwork and Yoyo Mahdy headed home to make it 2-0. Waterford came back into the game and hit the woodwork; Kevin Lynch crossing for Scott Twine. His mishit found its way to Zack Elbouzedi but his strike came back off the post. Waterford FC halved the deficit eight minutes before half time. Aaron Drinan did well down the right and forced Conor Kearns into a low save but Scott Twine was on hand to score his first Waterford FC goal. UCD increased their advantage just two minutes after the break; Richie O’Farrell heading Gary O’Neill’s corner into the far corner. Waterford had a great chance on the hour mark; Scott Twine controlled Rory Feely’s header to set up Aaron Drinan but he pulled his shot across the goal. 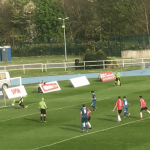 Shane Duggan headed over from Elbouzedi’s cross before UCD scored a fourth. Sean McDonald, charging down Matthew Connor’s attempted clearance after a poor backpass had him in trouble, and McDonald shot into the empty net to make it 4-1. The Blues continued to press but were met by a superb low save from Kearns from Aaron Drinan’s deflected effort as UCD ran out 4-1 winners. 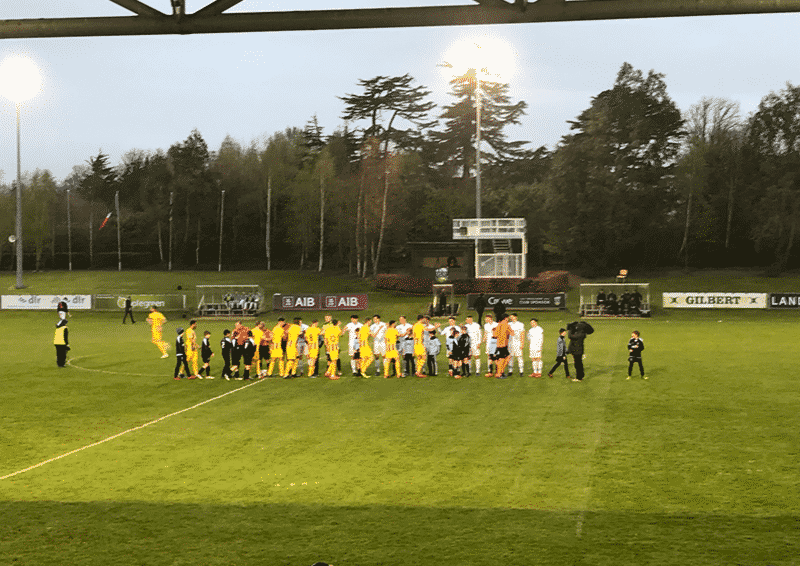 UCD: Conor Kearns, Daniel Tobin, Mark Dignam, Liam Scales, Josh Collins, Richie O’Farrell, Neil Farrugia (Kevin Coffey 79’), Gary O’Neill, Yoyo Mahdy (Sean McDonald72’), Timmy Molloy (Paul Doyle 82), Jason McClelland. 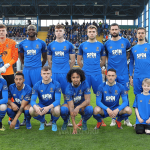 Waterford FC: Matthew Connor, Aaron Simpson(Rory Feely 46)’, Maxim Kouogun, Damien Delaney, Damien Lynch; JJ Lunney (John Martin 69’), Shane Duggan, Karolis Chvedukas (Bastien Hery 46’), Zack Elbouzedi; Scott Twine, Aaron Drinan.